Without wasting time on talking about the ill effects of the addiction, lets talk about how you can quit it. First step is to decide to make a change, take 5 min to make this decision, decision to make your life better. Change is never easy, it'll involve changing many things including: the way you deal with stress, who you allow in your life, what you do in your free time and how you think about yourself. 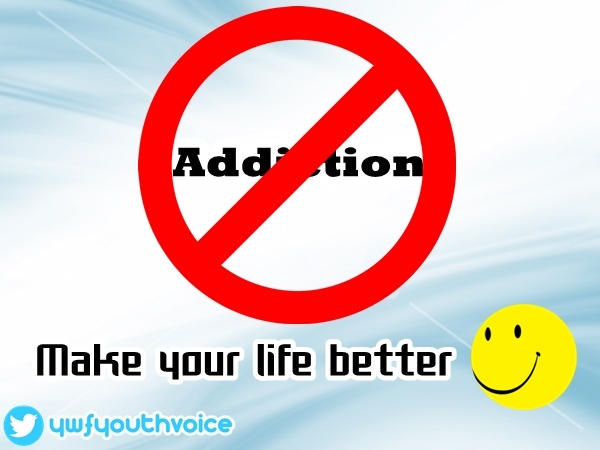 If you're in India, you can contact YWF volunteers for help in overcoming your addiction. Many people argue that even if the decide not to take drugs anymore they fail to do so, they crave for it, later they feel disgusting about breaking their promise, they want to quit but can't, they want to know how they can really overcome it. I have a answer for them which will definitely help them, not just help, it will change their life forever. There are many ways in which you can overcome your addiction but here I'll discuss the one with 100% results [seen many of my friends leaving addiction in this way]. 1. Find a friend or family member who wants your life to be better, ask him/her to take out one week from their busy schedule for you. 2. Take him/her with you for one week to a "Drug Quitting Program" like the one run by Dera Sacha Sauda, I'll discuss this only this one because from my experience this is the one with best results, combination of spirituality and science have made millions of people to quit all kind of addiction for "free", yes my friends it is completely free. In fact you'll be provided with free food and shelter. 3. Saint Dr. Gurmeet Ram Rahim Ji will tell you the true method of meditation which will help you to make your will power strong, will increase your self confidence, will help you to fight that urge. 4. There are millions of people at Dera Sacha Sauda all the time and all are ready to help you by any means, they will play the role of true friends who will help to destroy your ill habits. 5. Excellent medical facilities are there at Dera Sacha Sauda, medicines will be provided for free if needed. 6. If you feel you want to stay there for more, you can. You will have the best environment for leaving all you vices. That's it. I hope you find this helpful, if you want to share your story related to this or have any question then message us on our official Facebook page. Must read if you need any kind of help in overcoming addiction of smoking, drugs or alcohol!